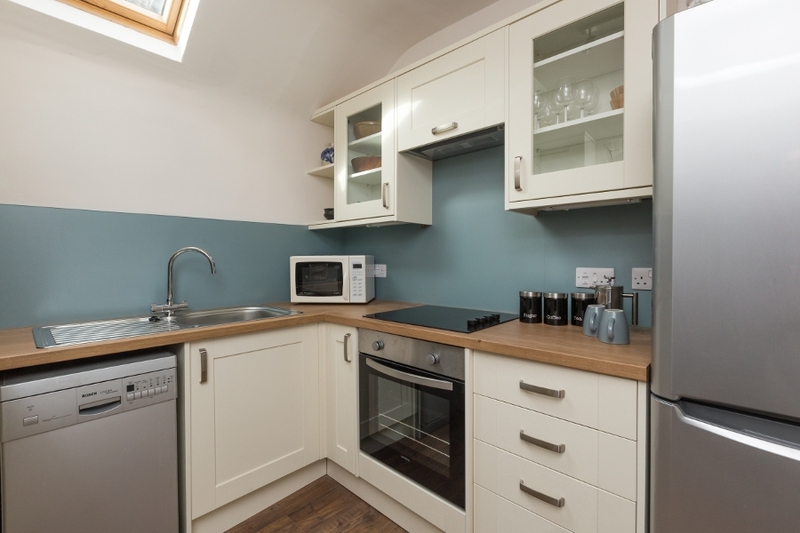 Cobbled Lane Mews is an attractive two-bedroom self-catering apartment on the first (US second) floor of cobbled Gloucester Lane in Edinburgh’s New Town. The property’s central location offers easy access to all the area’s amenities and attractions, catering for your every holiday need. 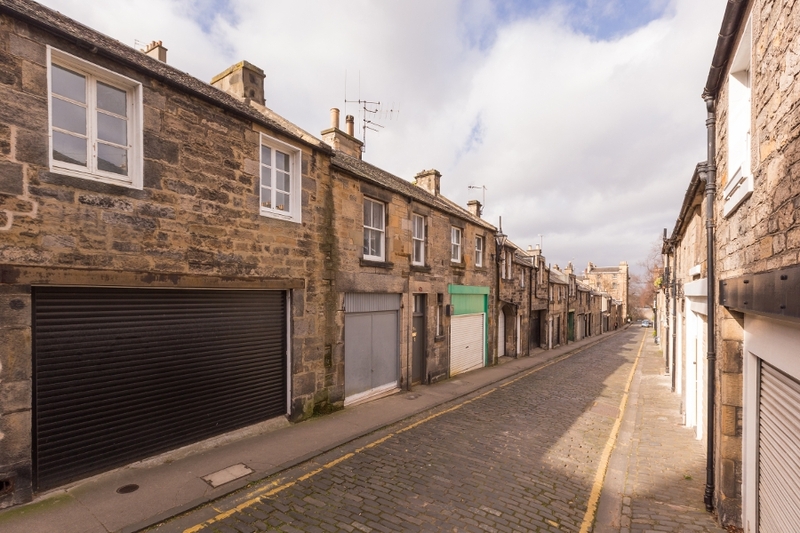 Continue down the lane and you’ll come upon Stockbridge, which has its own wealth of restaurants, boutiques and bistros you can indulge in at a more relaxed pace, as well as a Sainsbury’s supermarket for your everyday essentials. 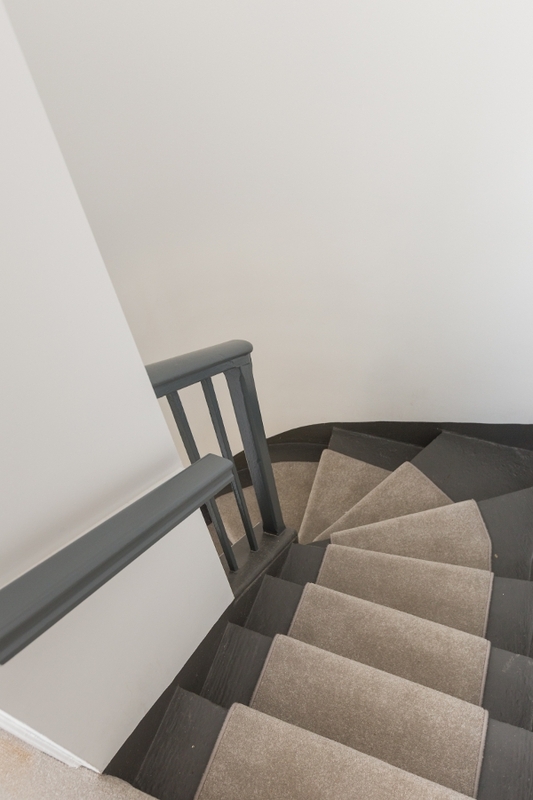 A flight of stairs takes you from the front door to the landing, whence the apartment is arranged in a circuit. 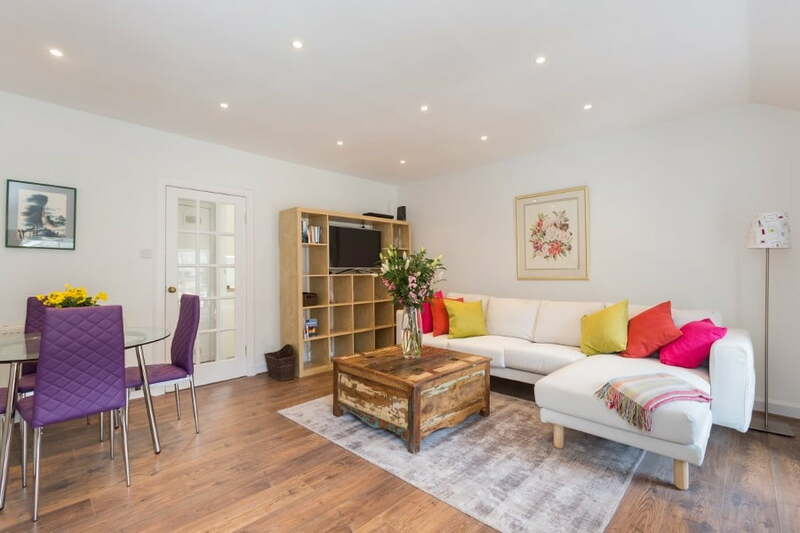 To the left, steps lead up to the living room, which has a large corner sofa for kicking back and enjoying the TiVo service on the 40-inch Samsung Smart FHD TV, or the Scottish guidebooks and novels from the shelving unit. Alongside the corner sofa is a handmade Indian timber chest, which doubles as a striking coffee table. A glass dining table seating four occupies the left side of the room, beside the door leading on to the lobby. 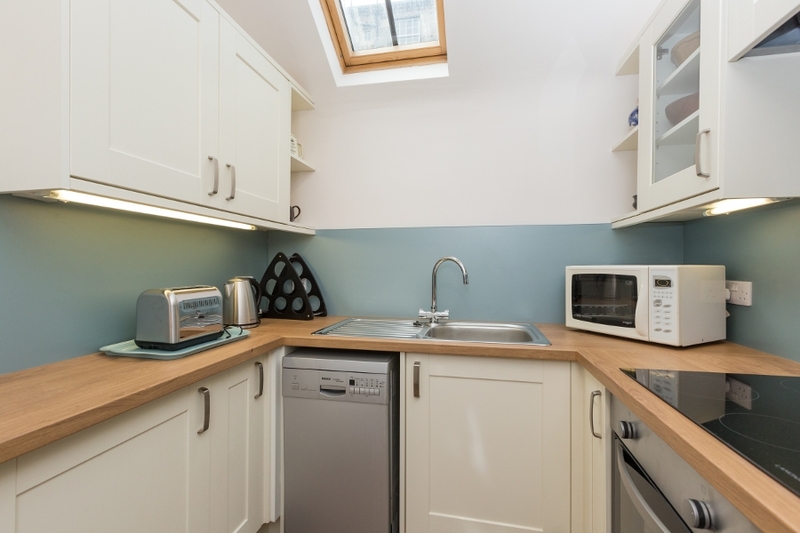 Around the corner is the modern kitchen, a compact and well-equipped space with a dishwasher and freezer in addition to the core utilities. The adjacent closet houses a washing machine, an iron and ironing board, and a hair dryer. The lobby leads down to the bathroom with a shower over the bath, a heated towel rail and a backlit mirror with gesture activation. 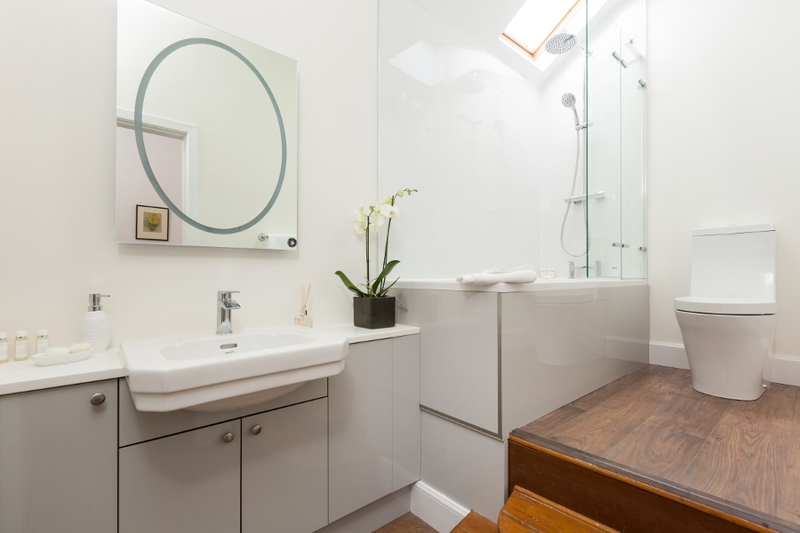 Skylights brighten the kitchen, lobby, and bathroom, bolstering the clean and neutral colour palette. 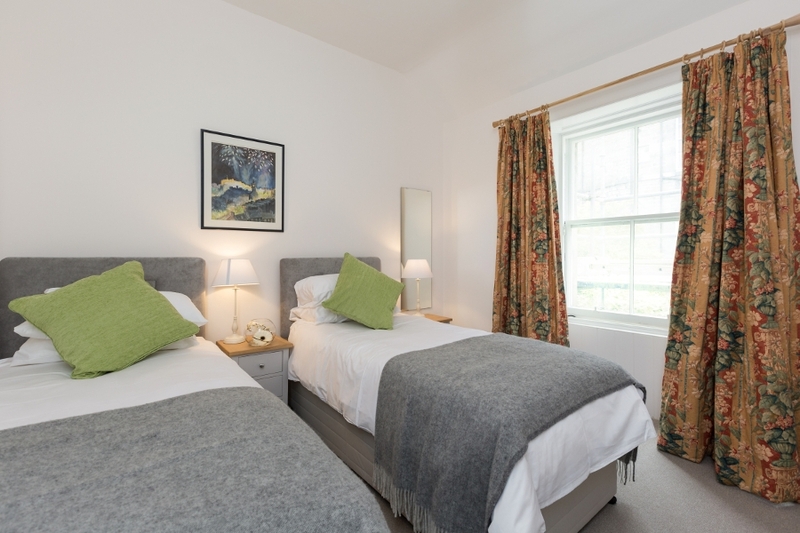 The landing beside the bathroom also offers access to the apartment’s two carpeted bedrooms, each of which can be made up as a double or twin; please specify your request in the ‘additional or special requirements’ box when you book. 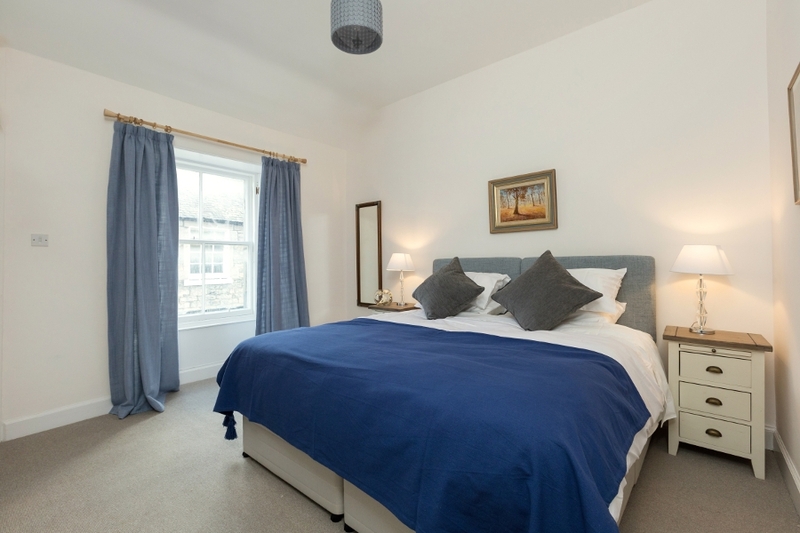 First is a twin room with integrated wardrobes, a wall-mounted dressing mirror and a window with floral curtains. 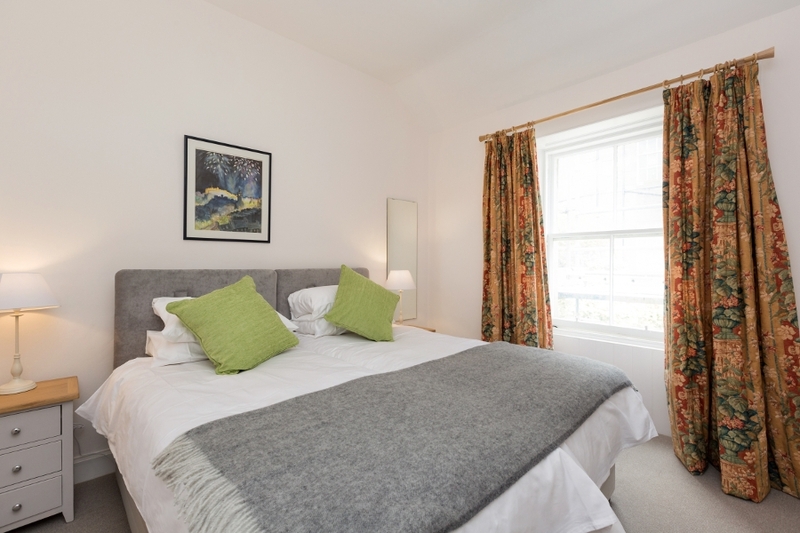 Off the end of the landing is the master bedroom with two single beds which can be joined to form a Super-king, with a rail opposite for hanging clothes. The master bedroom’s window has working wooden shutters and the use of reclaimed timber recurs in its chests of drawers. 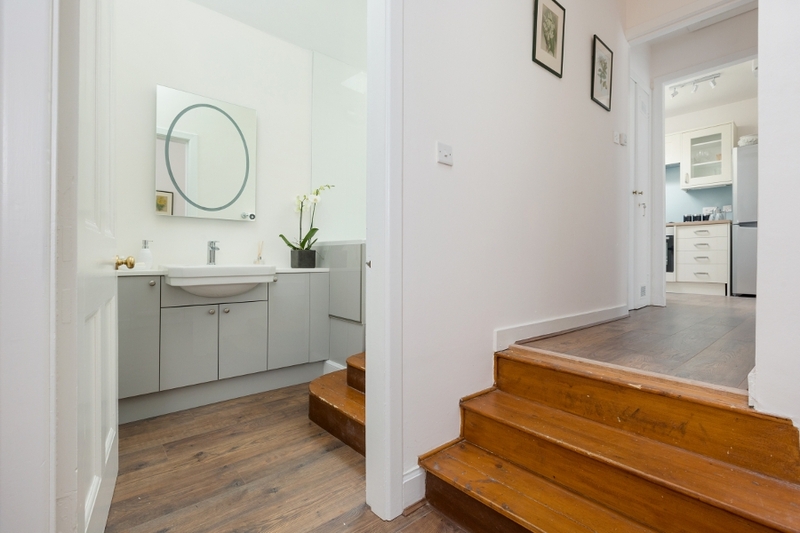 Moving through its other door completes the circuit of the apartment as you come to the landing at the top of the stairs, with its own window looking on to the lane. 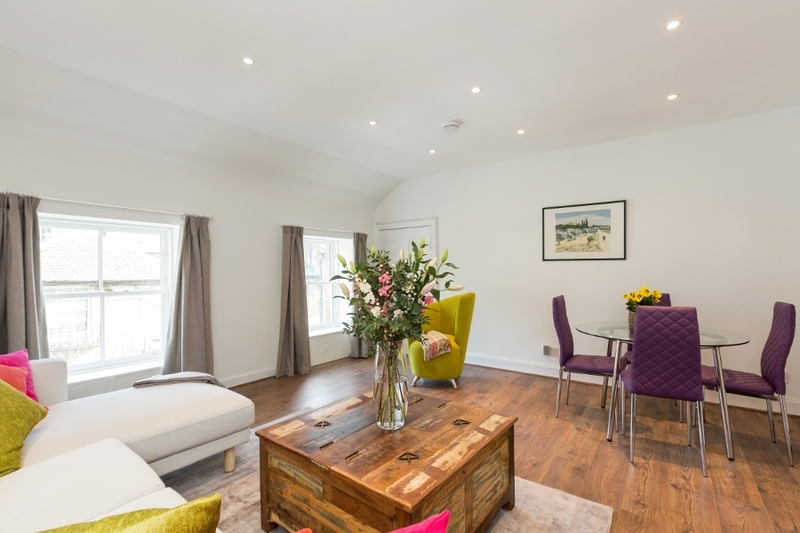 If you’d like a secluded and stylish retreat within Edinburgh’s city centre then look no further. 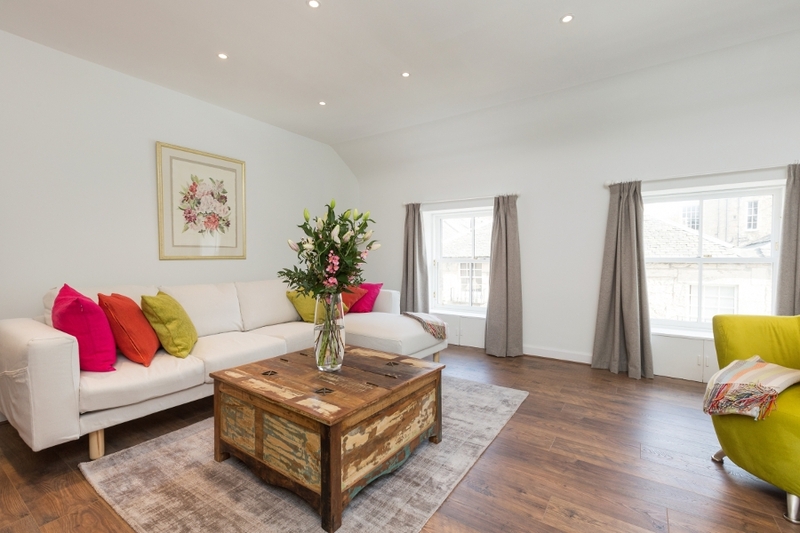 Gloucester Lane is a picturesque mews punctuated with Victorian lanterns which hearken to its history, in a delightful contrast to the contemporary comforts awaiting you inside.